The continuous surge of WordPress web development has resulted into a sudden hike in the demand for WordPress themes that can be utilized for different types of websites. 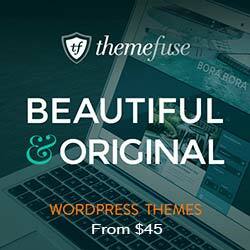 While a majority of WordPress themes are available in English, lately, more and more WordPress users have been demanding for the translation of a WordPress theme into a language instead of the default English language. Today, through this tutorial, I’ll be sharing with you the method of localizing a WordPress theme. So, let’s get on with our journey of learning more about this handy method. What’s the exact need for localizing a WordPress theme? Since WordPress is used across the globe, it is a good idea to prepare the WordPress themes so that they can be conveniently translated into a wide range of other local languages. Localization basically means making a WordPress theme ready for the translator which can further convert it into a different language. Talking about the unique terminology used in the concept of WordPress Theme Localization, I’d like to make you familiar with I18n. This is an abbreviation for the word “Internationalization”. It is called i18n simply because there are 18 letters between “i” and “n”. Next, there is a different term ‘I10n’ which is an abbreviation for the word ‘localization’. Collaboratively, both i18n and I10n represent the basic process of making a WordPress theme ready-for-translation. POT (Portable Object Template) file: This file would contain all the text that’s available for translating the WordPress theme. As the very first step, we’ll be using a program for searching through WordPress source code for fetching the text that’s passed into a _() or _e() function. Doing this would help us in generating a POT file. PO (Portable Object) files: As per the second step, the text in the above POT file is being translated into the target language, Here, the English and translator messages are being saved into a PO file which is identical to the POT files. MO (Machine Object) files: Finally, the PO file is being converted into a machine readable file format. In the above function, replace ‘mytheme’ with the name of your WordPress theme and ‘templatepath’ with the location within your themes folder where you intend to save the translation files. It is a good idea to crate a ‘Languages’ folder in the theme directory and save your files there itself. Here, fill in the details for the project. 6. On clicking the ‘Ok’ button, you’ll be expected to enter a suitable name for your POT file, followed by saving it. Do note, by default Poedit would save your file as .po fil, but you can go ahead with saving the file as .pot file. 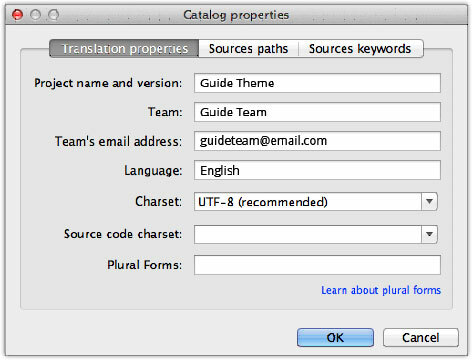 In other words, name your file after the theme’s name, giving it a .pot extension and saving it in the ‘Languages’ folder available in the WordPress themes directory. 7. Finally, clicking on ‘Ok’ will make Poedit scan all the folders that you’ve specified in the ‘Sources Paths’ tab, followed by listing the localized text within the theme’s files. Lastly, just save your POT file. With that we’re done with localization of our WordPress theme i.e. making the theme translation-ready. Here’s hoping the above tutorial would help you in localizing your WordPress theme, the next time you intend to translate it into one of your preferable languages. Choosing Ava Garcia can serve as the best option if you’re looking ahead to hire WordPress developer for meeting your website development needs. When not busy developing WordPress website, she likes sharing her knowledge about all the recent advancements in the world of WordPress development. Currently employed with OSSMedia, she has a huge collection of helpful WP – related articles published under her name.